The theory has been that if consumers can see for themselves the energy they are using in near real-time, surely they can control their energy use to help them save energy and money. However, after closely examining research, a team at the University of Essex has found that smart meters may only have a limited effect on reducing energy consumption in homes, certainly not worth the cost of deployment. The study, published in Energy Policy journal, questions the effectiveness in the United Kingdom of multi-billion-pound plans to replace 53 million gas and electricity meters in 30 million UK homes and small businesses by 2020. It highlighted three main problems with in-home displays (IHDs) used in conjunction with smart meters. Analyzing research data from 524,479 people in 156 field trials, the researchers found that while in-home displays were a good way of raising awareness of energy use and linking consumption with cost, customers only saved on average about 2% – which on an average home energy bill of £1,284 would mean only £2-3 savings per month. The third concern was that for some households the in-home displays could actually trigger unintended consequences leading to increased energy use after consumers realized the cost of certain behavior – i.e., taking a longer shower – would not cost them as much as they thought. On Friday December 19, 2014, Kathryn Buchanan, Ph.D. was interviewed by BBC Radio about the newly published report. Below is an excerpt from the BBC Radio program. Three slides are included that are courtesy of Elsevier Ltd. It is important to note that the projected small savings in the UK assumes smart meter customers have an in-home display (IHD). In the United States such displays usually come at a cost of $100 or so, and customers are generally otherwise expected to login to an online account to view their personal usage data. This would seem to be more cumbersome than looking at an IHD, and thus it is hard to envision smart meter customers saving any money at all on average in the United States based upon the published study. As reported in another article at this website, less than 1% of the millions of smart meter customers in Texas have ever logged in to view their usage data and less than ¼% of smart meter customers have an IHD. Full Study Citation: “The Question of Energy Reduction: The Problem(s) with Feedback,” by Kathryn Buchanan, et.al., Energy Policy, Volume 77, February 2015, Pages 89–96. For a full copy of the study published in the Energy Policy journal, refer to the link: The Question of Energy Reduction. This entry was posted in Smart Grid, Smart Meters, and RF Emissions and tagged Costs, in-home dispays (IHDs), Smart Meters, Waste of Money. Bookmark the permalink. Although it doesn’t add any financial benefit even a 2% savings in energy usage is a lot to begin with for the environment. We should be looking at the little good rather than the huge loss of money. I gather you are taking issue with the title of this article indicating that from a financial point of view that smart meters are a “waste of money.” This claim can be justified based upon the evidence that, for the average consumer, the small monthly savings in energy usage is unlikely to exceed the higher electricity rates and/or taxes that result from implementing a smart meter program. I think it is important for the consumer to be aware of this information as it generally conflicts with what people are told by smart meter advocates. Secondly, as far as reducing energy usage being “good” beyond financial terms, there is another issue briefly mentioned in the published study, i.e., possible unintended consequences like that some poor households might cut back on their energy consumption too much, creating dangerously cold homes in the winter-time and to the point of being detrimental to the consumers’ well-being. People don’t use energy for the sake of it, and policy people likely don’t consider in their cost benefit analyses the fact that reduced energy usage can result in a lower standard of living. Thirdly, I doubt people who promote smart meters fully evaluate the environmental impacts involved with the program. You think of 2% energy savings as “good” but what energy is consumed as part of implementing the technology itself? It might be that this 2% is marginal at best if one considers the energy consumed in manufacturing the smart meters, in-home displays, and the communications infrastructure involved with transferring all the smart meter-related granular data. Smart meters are also a source of “big data” that requires electronic storage space, computer systems, and electricity to operate that entire infrastructure. 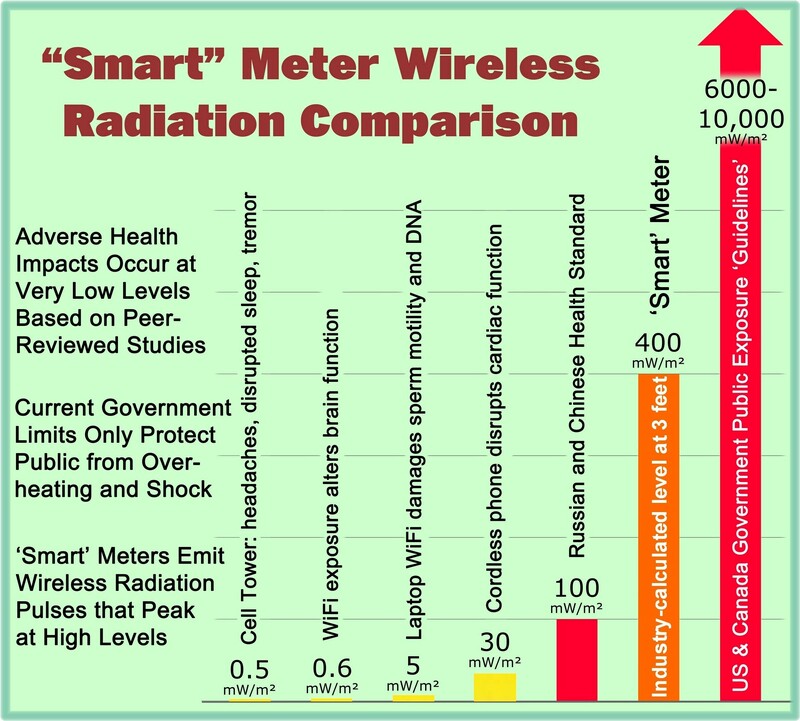 So overall, until I see evidence to the contrary, I conclude that smart meters are indeed a waste of money as the benefits do not outweigh the costs (which could include consideration for financial, societal, and environmental factors). I do thank you for your comment as it gave me the opportunity to better explain my perspective. Why would utilities be strong arming people to have smart meters to save energy when they are in the business of selling kilowatts? Good question. I can give two answers. One is that there is a government and industry sponsored narrative that smart meters will help people save energy and that this can also help the environment. As the above blog article shows, however, smart meters to the consumer are more of a novelty than a helpful tool. Thus we have misguided policy where costs and benefits of the technology are not properly evaluated prior to deployment.